and Big Sur Half Marathon to keep you busy. Feel like you&apos;re drowning in a plethora of options? Here&apos;s our top picks for this weekend. The Great Wine Escape kicks off Friday morning with a series of Coastal Kitchen Seminars throughout the day at Intercontinental: The Clement on Cannery Row. In the evening, there are eleven winemaker dinners to choose from. Buy tickets on the Great Wine Escape Weekend website. Warm up for the Big Sur Marathon with the Health and Fitness Expo at the Monterey Conference Center. Pick up some new gear, and register for Saturday&apos;s JUST RUN! Just Kids 3K or Run Forrest Run 5K. Expo is free; registration for the races runs from $5 to $27. Noon-6pm. If you&apos;re a fan of Celtic music, get your tickets now for the "Celtic Winter&apos;s Eve Concert" at the Performing Arts Center of Pacific Grove. The concert, which starts at 7pm, features Molly&apos;s Revenge, Tempest, the Gas Men and Drum Major Michel d&apos;Avenas. If you&apos;re feeling important, attend the VIP reception at 6pm, which features hors d&apos;oeuvres, desserts and cocktails. Tickets for the reception plus concert are $50. Tickets for the concert only are $10 for students and $20 for everyone else. Buy your tickets through the Performing Arts Center of Pacific Grove website. The big races may be sold out, but there&apos;s still a chance to participate in the Run Forrest Run 5K or JUST RUN! Just Kids 3K as part of the Big Sur Half Marathon. Anyone aged 5 or over in good health can participate in either race. Registration starts at Bubba Gump at 6:30am. Fees are $20 for adults and $5 for children 5-17 for the 3K and $27 for adults and $16 for children 17 and under and active military with ID for the 5K. The 3K starts at 8am and the 5K starts at 9am at Bubba Gump Shrimp Company on Cannery Row. Event company Illusions of Grandeur has decided to clear out their warehouse with a gigantic garage sale, and a number of other businesses in Sand City have decided to join in the fun and make it a community event. 9 am to 2 pm, 479 Elder Avenue. Why go up to Santa Cruz to see redwoods when you can see a breathtaking redwood grove in your own backyard? The Monterey Peninsula Regional Parks District and Big Sur Land Trust&apos;s "Walk Among Giants" event offers two unique hikes through the redwoods of the Mitteldorf Preserve. The first hike is 3.5 miles with a 1000 foot elevation gain; the second is 5 miles and a 1,900-foot elevation gain. 9 am to 3 pm, free. 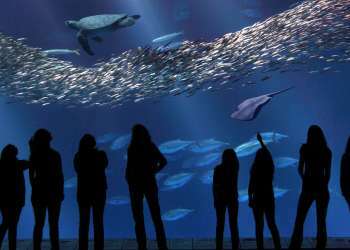 Register in advance online under "Teen to Adult Explorations." The Great Wine Escape has several options available for a day of oenophile fun. 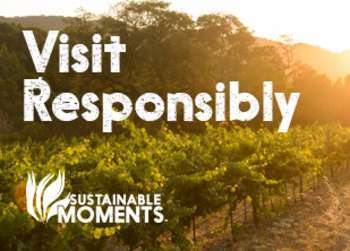 Take a self-guided wine tour of Carmel Valley or the Salinas Valley from 11 am to 5 pm for $25. Let someone else do the driving and take a hosted wine tour of Carmel Valley or the Salinas Valley, which includes educational elements, from 10 am-5 pm for $65. Or go for the full educational experience and take the Winemaker For a Day tour at Paraiso Vineyards from 9:30 am to 4 pm for $85. Order tickets at the Great Wine Escape Weekend website. The Pacific Grove Chamber of Commerce holds its 21st annual Holiday Fashion Show and auction at Asilomar&apos;s Merrill Hall tonight. View fashions from eight boutiques, eat a strolling dinner, enjoy live entertainment, and bid on over 150 trips, restaurant certificates, golf packages and more. 5:30 pm-8 pm, $20. Taste fantastic wines and gourmet food at the Wine Enthusiast&apos;s Signature Dinner or one of three Winemaker Dinners as part of the Great Wine Escape Weekend. 7 pm, $150 for Wine Enthusiast&apos;s Signature Dinner, $95 for Winemaker&apos;s Dinner. Reserve online. It&apos;s too late to register for the Big Sur Half Marathon or 10-Mile Walk/Run, but you can still cheer the racers on! The course runs down Del Monte, around Lake El Estero, through downtown, through the Custom House Tunnel onto Foam Street, down to Cannery Row, along Ocean View in Pacific Grove, down Lighthouse in Pacific Grove, along the coast to Asilomar, and then back to Custom House Plaza. Both races start at 7 am. The Great Wine Escape Weekend comes to a blockbuster end with the Grand Finale at Intercontinental The Clement. Taste wine from over 30 wineries and food from many of Monterey County&apos;s finest restaurants, and watch chef demonstrations. Noon-3 pm, $90. Buy tickets online at the Great Wine Escape website. The Listening Place Reader’s Theater performs a live reading of Oscar Wilde’s The Importance of Being Earnest and The Remarkable Rocket at the Monterey Museum of Art La Mirada. 1:30 pm. $5 for the general public, free for MMA members. Still looking for something to do? Check out the Monterey County Weekly&apos;s calendar section.